Paulredd.org: Justice for Paul A. Redd Jr: Paul Redd: Prisoners, unite! Community, stand with us! Legendary jailhouse lawyer Paul Redd speaks out at this critical time from the Pelican Bay SHU. M: My name is Paul Redd. However, many friends and comrades call me P.R., Mume or Abbas. Q: May I call you Mume? M: Of course you may. Q: Mume, you’re one of the 16 representatives of the 2011 Pelican Bay State Prison SHU hunger strikes in July and September? Q: Let me travel back in time with some questions. M: I was born and raised in Oakland, California. Q: Why are you in prison? And how long have you been in prison, including the SHU? M: I was convicted in 1976 of first degree murder for the death of a local drug dealer in San Francisco. I am serving a seven years to life sentence with possibility of parole. I’ve been in prison now over 36 years. And 33 of these years have been spent in various SHUs. I have spent 25 years, minus a couple of months, in Pelican Bay supermax SHU. Q: Mume, you said you were sentenced to “seven years to life with the possibility of parole.” What does that mean? M: It means that I was eligible to be paroled (released) from prison any time after Dec. 21, 1982, which was seven years. Yet, the Parole Board continues to find me “unsuitable for a parole date” because of my commitment offense and my SHU status. Historically, the Parole Board has never found a prisoner in the SHU serving a life sentence with possibility of parole suitable for a parole release date, in spite of the fact that many of us have met the criteria to be paroled. Q: How about others in the SHU who are not serving a life sentence with a parole release date? M: Here is a clear illustration of an arbitrary unwritten policy. For example: Prisoner A is a non-lifer in the SHU serving an indeterminate SHU term for “validation as a gang member” only. When his parole date arrives, he is paroled from the SHU back into the community. Prisoner B is a lifer, eligible for a parole date in the SHU serving an indeterminate SHU term for “validation as a gang member” only. He is not given a parole release date. The only difference between the two prisoners: One has a parole release date; the other one does not. Q: How have you grown as such an intelligent, highly skilled human being that prison officials, the IGI (Institutional Gang Investigators) decided that your voice needs to be silenced behind the pit of hell concrete walls of PBSP supermax for so many decades? Why have you been separated from your community and from other incarcerated people with similar aspirations and visionary plans? M: You asked a two-part question. My growth is owed to many direct and indirect experiences in my life, prior to prison and while in prison. When I came into the prison system in 1976 to DVI (Deuel Vocational Institution) in Tracy, California, I felt the need to be a part of something to bring about positive changes to benefit the Black prisoner population. I started by using what little outside influence I had with friends to bring live entertainment shows inside the prison. At the same time, I met other positive brothers educating others about our history and culture, including teaching reading and writing. They shared books with me that really opened my eyes, exposing the blatant institutional racism from the administration, top to bottom. I also called upon other prisoners to join me in donating a few dollars each to raise funds to purchase a large amount of canteen to send into the SHU/MCU to be shared among all Black prisoners housed there. It was important to those brothers living under those inhumane conditions to know that there were brothers out there in general population that were going to look out for them. I saw other prisoners contesting these conditions and it was a natural thing for me to join that fight. That was the way I was raised, although my life took a different path. Prison brought me back to those natural things I saw as a kid growing up in West Oakland in the ‘60s. I began filing prison grievances, reading law books – and finding myself wrongfully being placed in the SHU, based entirely on manufactured accusations by certain prison officials, just to remove me from the general population to stop the positive things I was doing. While in the SHU, I joined major class action lawsuits, continued to file grievances, and assisted other prisoners with filing documents. Some prisoners would call me a “legal beagle,” a “jailhouse lawyer,” “the people’s lawyer.” I was far from developing my legal skills back then. They fear us prisoners who have the ability to use our positive conscious minds to unite prisoners in a peaceful, non-violent movement to eradicate repressive conditions and arbitrary, discriminatory policies and regulations. Anyway, many prison officials over the years and even today, have called me a “troublemaker,” a “thorn in their side,” “an agitator.” I welcome with a smile what CDCR officials call me. But two things they can never call me are (1) a liar, or (2) someone who embellishes the facts. When prisoners speak out and stand up to challenge acts of injustice that prove to be an embarrassment to CDCR officials, the officials retaliate by placing you in a SHU on bogus accusations or charges in an attempt to discredit us. This is the case today behind the pit of hell concrete walls. But thanks to the united hunger strikes, our voices are being heard, and our undisputed truths revealed, causing greater embarrassment to the CDCR. CDCR officials, from Sacramento down to the prison grounds, have always known that prisoners hold the solutions to solving prison conditions entirely. They fear us prisoners who have the ability to use our positive conscious minds to unite prisoners in a peaceful, non-violent movement to eradicate repressive conditions and arbitrary, discriminatory policies and regulations. Q: What are your hopes now, in this time and in the near future? (1) Establish a campaign calling on all Afrikan prisoners in the California prisons’ general populations, SHUs and ASUs to unite together as one voice to help reduce and end the senseless Black on Black killings and violence in our neighborhoods, using our unity to help rebuild our families, foundations and neighborhoods. We as a proud Afrikan race with a history can solve our own problems without any involvement from law enforcement. I want to start with bringing all the Afrikan prisoners from the Bay Area to join this unity movement through a creative Bay Area workshop. The success of this workshop will be to set up all over the major urban cities from up North to Southern California, committed to rebuilding our families and neighborhoods. (2) Unite all the California prisoners in the general population as addressed through our call ‘Agreement to End All Hostilities Between Races,’ reaching mutual common ground in order to focus on the bigger picture to better our conditions for pushing for greater changes: from CDCR regulations to Parole Board composition and decisions. And, more importantly, rebuild our communities through our united efforts. (3) Unite serious committed jailhouse lawyers behind the walls as a power “think tank” in addressing issues affecting the class of prisoners and working with outside legal aid clinics, law firms and attorneys. This is a vision I have had for a long time. My attempt to create such a think tank was disrupted by prison officials who implemented new policies to prevent me and other jailhouse lawyers in Pelican Bay SHU from communicating with other JHLs within the SHU and outside of the SHU. I was recently reading the book you sent me called “Jailhouse Lawyers” by Brother Mumia Abu-Jamal, and he said something very similar, reminding me just how important it is for us to build this JHL movement and connect ourselves to the outside. Let me close by paraphrasing Bro Mumia’s words: Jailhouse lawyers must look beyond the state’s imprisoning bars, bricks and cement to build relationships with others in the so-called “free” world to further and support social movements that spread liberating and progressive space within society. 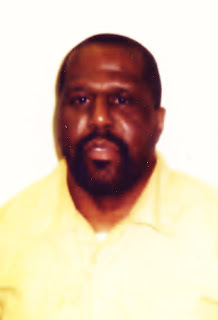 Send our brother some lover and light: Paul Redd Jr., B -72683, Pelican Bay State Prison D2-117, P.O. Box 7500, Crescent City, CA 95532. Note from Sharon Martinas: Mume and I have been pen pals since the summer of 2012. Mume is one of the representatives housed in Pelican Bay State Prison’s SHU, in the Short Corridor. I am a member of the Prisoner Hunger Strike Solidarity coalition (PHSS) and a coordinator of PHSS’s Human Rights Pen Pal program. We agreed that Mume would also write the interview questions, since he knows what he wants to share about his life, his beliefs and his visions for a better world.